Does my child need a therapist? George, age fifteen, rebellious teen, only eats white foods-macaroni, milk, rice, sugar. Sarah, age sixteen, has cuts on her arms and bruises on her back, and says smoking pot once in a while is okay. Claudia, age thirteen, has nightmares, and has probably started being sexually active. Barbara, age seventeen can’t seem to make or keep a friend and is losing more weight than normal. Robin, age fourteen, loses something almost every day, like friends phone number, homework, library card, and even money. Which of these children needs professional help? When it comes to knowing if a child (say, your child) needs therapeutic help for mood or behavioral disorders, professionals agree on one answer: “It all depends.” And there’s agreement that dealing with childhood psychological disorders is a risky business. If you take action, you risk harm; and if you do nothing, you risk harm. Keeping in mind the specific complexities of any human being, the range of possible diagnoses, the ever-increasing knowledge about interconnections between biology, chemistry and mental health, and the myriad treatment options available, the only sane thing to do is to bone up on the When-Where-What-Who-How’s of child-specific therapy, and make the best decisions you can. Herewith is some brief notes and assistance of what to expect and do when you enter the world of children’s special needs. When. It’s time to seek help when you’ve engaged in everything that common sense, parenting books, and trusted friends and family recommend. Understandably, parents are loath to admit that their offspring could be anything less than perfection incarnate. Given that hesitancy, the truism, “when parents think the child needs help, then the child does need help,” is probably true. That day may come only after a teacher suggests that an evaluation is in order, the child hurts him or herself, or a doctor sees something that raises a red flag. Red flags tend to go up more readily for boys than girls, and that makes it appear as though boys have more psychological difficulties than girls. This is not necessarily so. Girls often present psychological problems in quiet ways, such as avoiding friends, falling grades and new fears. Boys, on the other hand, tend to “act out” which gets everyone’s attention. One set of problems is no better or worse than other; both can be helped by professionals. If you’re thinking of waiting, envision doing nothing until David enters adolescence with the same problems, newly compounded with hormones and semi-independence from home. Sooner is better. Past the preschool years, public schools are mandated to offer screenings for a variety of learning and developmental problems. These are free to the parents and will provide lots of information and a proposed plan to deal with any issues that surface. When you don’t like or trust the outcomes of such a screening, seek a second opinion. Call a clinical psychologist who specializes in children for an evaluation; this person should be able to recognize what signs and symptoms point to which kind of therapy. Especially when the issue is anxiety or depression, a clinical evaluation may be enough and treatment can begin promptly. Such an assessment might also lead to a whole battery of quantitative tests that include academic, mental and emotional health, and speech, language, sensory, and neurological testing. These are usually offered at large institutions, such as a Children’s Hospital. You may find that your child has a very high IQ but also very high distractibility and mild dyslexia, for example. Oftentimes learning difficulties go hand in hand with emotional and behavioral issues. This kind of detailed, quantitative information can save time in treatment by getting the child to the right professional’s office immediately, although it comes with a hefty price tag that insurance may or may not cover. What. Now that you’ve had an assessment, evaluation or battery of screening tests for Theresa, does she have attention deficit/hyperactivity disorder (ADHD)? Obsessive-compulsive disorder? Attachment disorder? Sensory integration disorder? Something on the autism spectrum? Dyslexia? Oppositional disorder? Perhaps a hearing deficit? A mood disorder? Some of these are psychological issues, and some are learning differences or deficits. More to the point, they often come in two’s or three’s, not singly. Who. With overlapping diagnoses, parents may be on a long and winding road through many professionals’ offices. Don’t be surprised to end up with a team of professionals that might include a psychiatrist, a therapist for the parents, another for the child, and perhaps an occupational or speech therapist as well. Ideally, parents are part of that team. Some say that when the child has a problem, it’s the parents who need the work. And yet, research is uncovering the biological bases of more and more disorders every year. Parents are, at the very least, almost certain to play a part in their child’s treatment. When parents are facing battles of their own with grief, mental illness, substance abuse, severe financial stress or other problems, they may not be as active as they’d like on behalf of their children. In these cases, it may fall to child care providers, teachers, or others in the family to work with and for that child. As for the lead therapist of a working team, what should a parent look for? Compassion, a broad-based view of children’s psychological needs, and someone who “clicks” with your Steven. Of those, compassion comes first. Seek someone who is kind and understanding about the difficult path your child has been on. When the therapist approaches you as if your child is a bundle of pathologies, think twice. Instead, look for a “first, do no harm” approach, with a person who sees the excellent qualities Jeremy brings, as well as the struggles he faces. Then make sure he or she has a broad set of skills, and the flexibility to recognize that when one approach isn’t working it’s time to move to plan B, C or D.
There is no one right road, regardless of how many parenting gurus suggest otherwise. As for “clicking,” a therapist has to have a relationship with the child. Chemistry counts, and if after a handful of sessions your child is still uncommunicative, don’t lose time before trying a new therapist. How. After getting a diagnosis and choosing a therapeutic team, you’ll be offered a bushel of ways to treat childhood behavioral, emotional, and learning disorders. Step one in almost all cases is pretty basic: consistency, diet, rest, and regulation. In fact, some say that the best things you can do for a child with depression is give him or her a protein-rich breakfast, an hour of aerobic exercise daily and fish oil, which has a palliative effect on mood disorders. In general, though, when a child leads a chaotic life with questionable nutrition and inadequate sleep, disorders are hard to treat. And the therapy itself? Young children will play with puppets, dolls, other toys or games, and from this play the therapist learns about their world. When difficult issues surface in play (Mom and Dad fighting, for instance) the therapist will guide the play to a resolution more satisfactory than having the child get pummeled in the process. The play becomes the conduit for offering new perspectives, coping strategies, and even concrete techniques such as deep breathing to ward off anxiety. If your Dawn won’t go alone, Mom and Dad may go along, too. If that doesn’t work, then the parents might go without Dawn, and receive coaching on how to set up a consistent household, schedule and expectations that work. Another option: family therapy. Here, the idea is that the child who presents “problems” in the family constellation isn’t operating in a vacuum. Instead, Donald is performing his role, as are all the other family members. Perhaps a sibling has the role of “good child,” the mother has the role of the family’s emotional barometer, and the father has the role of playmate. With family therapy, all (or at least most) of the family attend sessions together, and it’s the interactions between them that are the focus, and breaking out of those roles may be the goal. Family therapy takes the pressure off Donald, a potentially huge relief. Yet another option: group therapy. If it’s a group of 12-year-olds who tell Brian that they don’t like him because he argues all the time, grabs and interrupts, he may hear it more clearly than if a caring adult gives the same message. And, the group provides an opportunity to practice budding social skills. Still more: there is a surprising body of research indicating that Eye Movement Desensitization and Reprocessing (EMDR) can help, especially with children who are suffering from past traumas. In practice, this looks like the child following an object that the therapist moves rapidly before his or her eyes. Any form of activity that bounces attention quickly back and forth from the right to the left side of the brain helps “unstick” traumatic memories that are impeding daily life or growth. And finally, there are psychotropic medications to treat many conditions: anxiety, compulsiveness, attention deficit/hyperactivity disorder, depression or impulsiveness. Many parents are reluctant to use them for understandable reasons: they believe using psychotropic drugs may set up a pattern of medicating problems away, they fear dulling little Angelo’s personality, or they may cause metabolic changes that effect growth. Recent news about a link between antidepressants and higher rates of suicide, the abuse of ADHD drugs among older teens, and the overuse of sleeping medications for children all scare parents away. So, choosing to medicate isn’t always straightforward, and probably the child’s pediatrician isn’t the right person to make that call. Ask for a referral to a child psychiatrist. While thinking about whether to medicate or not to medicate, note that there is risk if you choose not to. If you don’t medicate, the child suffers from the presenting problem and very likely social problems that are an outgrowth, and which can become ingrained patterns that are hard to shift later. Parent after parent says, “I wanted to do everything I could to avoid using medications, but once we finally went that route, life was bearable for Tara for the very first time. Medication has been a lifesaver.” Expect that it will take time to get the right drug and dosage, and that when the child grows, your doctor will need to reformulate the prescription again, and again. Note, too, that medication is rarely a solution all on its own; it works best in conjunction with some kind of “talk” therapy and consistent modifications to the home and school expectations and environment. Whatever treatment is pursued, you’ll want to know when recovery has begun. “Recovery” can be a tricky word; when parents hold on to the glowing expectations they’ve carried since Rob’s birth, recovery may be hard to achieve. If, on the other hand, recovery means that life gets easier for him, then recovery is eminently achievable. The best sign that you’re on the right track? Friendships improve. When your child brings home friends who represent the best, not the worst, in him or herself, you’re on the road forward. There’s good reason to worry for the children; lots of research indicates that teachers and others treat children according to their expectations; when they’ve been told that the child has “oppositional disorder,” they may take a geared-for-struggle stance, for instance. And children tend to live up (or down) to those expectations. As for relationships with peers, you don’t have to go far to find stories of children who have been embarrassed by being labeled a “special education student,” a broad category that includes children with anything from mild dyslexia to severe developmental disabilities. Classmates do notice who goes to the office to receive medication, who gets pulled out of class for “special” help, who gets to have an extended time for test taking, all common (and appropriate) ways that children are accommodated. They notice, and they may be unkind about it. In other words, stigma is alive and well in relation to mental illness and every form of special needs. Having agreed that stigma is a persistent hindrance to seeking treatment, experts say parents simply have to face it and proceed to treatment anyway. That begins with accepting for themselves and their children that mental disorders are no different than diabetes or any other disorder: unpleasant and long-term, but treatable. Then parents (and children as they grow older) may find themselves becoming advocates for people with mental or emotional disorders, spreading the word that stigma is perhaps the most treatable part of a child’s special needs. “Just Say No to Stigma” could be the rallying cry. Here are some tips that will help you become your child’s best advocate! Believing in your child is essential. No doctor, therapist, teacher, or anyone knows your child better than you do. You have lived with your child with a disability longer and more intimately than anyone else. Only you have the long perspective. The big picture. Trust that knowledge. Believing in your intuition is being able to trust yourself and those feelings you have. A hunch is usually a sign, follow your hunches. The squeaky wheel gets greased. Educating yourself is critical. It is very important to learn what your child’s rights are before you can fight for them. They are your allies and will prepare and support you. The more skills and information you learn the better you can advocate. You must write down all the facts and keep ‘a paper trail.’ There are two different kinds of facts. One is objective and the other is subjective. Objective facts are the name, telephone number and title or position of the person you talk to. Don’t be afraid to ask. Say “Just a minute, please, I need your name and title. I’m writing this down.” Facts are listing the questions you ask and writing down the given answers. Put quotes around answers. Ask the person to repeat themselves or say “I heard you say that you do not think Ken can be in your day care center because he has a wheelchair. Is that what you said?” Write it down. It is okay to say that you are writing the response into a notebook. If you get an answer you don’t agree with, don’t understand or you know is wrong, say so. Always ask for the statement to be sent to you in writing. Say, “Please send me a copy of that in writing.” You make this request when you are talking with educators, insurance companies, Medicaid, a community agency, hospitals, landlords, restaurant owners and others. Keep a file folder or box or drawer for the written replies and paperwork you will receive. When you have time, organize it either chronologically or by subject. Subjective facts are your thoughts about either a person or an event that occurred. Did the person act friendly? Ignorant? Were they willing to talk with you? Were they evasive? Just jot down a couple of words or sentences to remind you what kind of conversation you had. Remember, keep your notes on facts and opinions in one place, either on a computer or in an organized notebook. This is a quick and easy way to make sure that your notes are not here and there, but easy to find. Over the years, you’ll see why having your notes together is a time-saver. Date your notes and thoughts. After the phone call, sit down and write a short letter which states that you just talked and this is what transpired on the phone. Keep it as objective as possible by stating the facts. At the top of the letter reference the subject, e.g., “Re: Occupational Therapist Still Not Hired,” or “Re: Second Request For Payment of Physical Therapy Sessions.” To give your letter real muscle though, there’s a simple technique called “cc” or “carbon copy.” This is at the end of the letter and it’s to let the recipient know that you mean business. You “cc” your letter to their boss, or the agency head that administers the program. Using two or more cc’s can be useful: you can “cc” an advocacy organization such as the national UCP office or the affiliate, or the parent training center, and your state legislators or U.S. Senator or Representative. Don’t worry about whether or not your Congressperson cares or not. They do. This is one “cc” that will do more good in the long run than any other. The people who amend, authorize the funding or change the laws of the land need information from you. When there is no law or regulation, they can make new ones. Your voice is very important. They need you to keep them informed. You can hire a lawyer later if you need to or if you opt to utilize a formal Alternate Dispute Resolution process when it’s available or offered. Your state has a Protection & Advocacy agency and your county has a legal services office. With your documentation and knowledge of the facts and a feeling about what is going on you will save time and attorney’s fees, and personal aggravation, by having your records straight. You will also know a great deal and be able to figure out if the mediator or lawyer is competent and knowledgeable about disability issues. You cannot assume that the Domestic Relations lawyer, that you used for your divorce, for instance, also understands how Special Education law works or that an appointed mediator, for instance, knows what a Personal Assistance Services caregiver is. Like all professionals you will be involved with, they are paid for their expertise and services and it is you who hires or consults them. Always get several referrals first and then “interview” the professional when possible, to see if you can work with them. Again, trust your intuition and observations. When a meeting is scheduled at a time you can’t attend, ask for it to be postponed. Propose an alternative time. When you know you are going to be late, call and let them know. Be sure you know the purpose of the meeting. This will establish what your role is and will help you focus on what your child needs to have happen. Be prepared. If you are going to change the IEP, have your suggestions in writing, preferably typed, with extra copies. Take a moment at the start of the meeting to write the name of everyone in the room and their title. Don’t hesitate to ask “Just a minute, how do you spell your name?” Bring a tape recorder if you want to. Bring a friend or advocate for support. Introduce the person. If you don’t understand something that is happening in the meeting, or emotions flare, ask for a break. Say “I think I need a break. I’m going into the hall for ten minutes.” Use the time to collect your thoughts. Avoid being in a position where you swear or will regret later words you used. Take notes during the meeting when you can. When the meeting is “going nowhere” say so. Propose another meeting. When substantial gain is made during the meeting, write a follow-up letter clarifying what you think was decided or happened. “CC” all the attendees or others who are interested in the outcome. Write the date, time, name and title, and telephone number of the person you are talking with in the notebook. Write ahead of time the questions you will ask leaving space for the answers you get. Realize that a phone call can be forgotten — or denied. Talk to the ‘power’ person or the person who has the critical information you want. It may take a while to get to the person who has the authority to state policy so persist in trying to reach a person of authority. Call an agency and say, “Who is the person responsible for putting together the IEP team?” “May I speak with the policy expert on the Medicaid state plan?” “Who is it who determines the transportation schedule for school buses?” “Who is the expert on assistive technology funding in our school district?” If you don’t know what an IEP is or if you don’t know if your child is eligible for Medicaid, that is the call you need to make tomorrow. When you make a call, leave pleading and begging behind. Simply say, “Hello. This is Matt All calling for Mrs. Andersen.” Period. You can say, “My son can’t see very well and has cerebral palsy. What are the steps I must take to get him enrolled in an extended school year program?” or “How and where do I apply for Social Security for my disabled son?” Be as direct as you can with your initial request. You do not need to explain your story or request in detail to everyone. You don’t have to give the medical terminology for your child’s disability. Just keep it simple and straightforward. And keep it to the facts. It is easy to begin to explain the ins and outs of what you’ve been through: however, save that for your friends, family and support groups. Deal with administrators and service delivery people in a businesslike manner. When a message is requested, and you may volunteer to leave one as well, make it strong and to the point. “I am calling about the bus picking the kids up an hour early each day” or “I’m calling about the teacher who called my daughter ‘retarded’,” or “I’m calling about my son’s application into the summer recreation program.” Ask when you can expect a return call. Write that down. When you don’t get a return call when you should have, call back. When you are given approval over the phone, be sure to say thank you and ask for written confirmation to be sent to you the next day. File this with your other documentation. A story in short declarative sentences is easier to understand than going into a lot of detail and opinion. Find a powerful story to make your point, and use it. Advocacy is its own reward and there will always be something to advocate for in this imperfect world. Accept that you cannot win all the time and that many goals may take months or years to reach. Give yourself a break now and again! Pick your battles! You’ll have ample opportunity over the years to fight many, so choose them and space out your energy. And be creative — there is no limit on the tactics parents can choose as they advocate for what it is right for their child with a disability. One parent may leaflet all the teachers’ mailboxes to argue for inclusion of their child with Down Syndrome into a regular education classroom and win; another parent may launch a full-scale litigation effort to win. Different circumstances require different actions and strategy on your part. With each achievement, no matter how small, take a moment to congratulate yourself for a job well done. Have a party with your family or friends when you finally get Medicaid to pay for the specially adapted toilet seat, when you secure SSI for your child, or you get the “okay for payment” for extended school year over the summer. Share the gladness of the moment when your child gets on the bus with his sister to go to the neighborhood school, or your young adult daughter with disability gets a job after a year of searching. You’ll know you are an advocate when you feel like you have had to decide between being popular or being respected. In the long run, being respected will do more for your child than trying to keep everyone pleased. This might sound like I am suggesting you have to fight for everything and be combative. I am not saying exactly that. I am saying, however, that as you work to make sure your child’s legal and social rights are won — because, unfortunately, they are not automatically provided or extended to your child — you will feel and act differently. And it will be worth it! It is your right, your responsibility and your duty to speak up and out! Disclaimer: This article is designed to increase public awareness. Its content is presented for informational and educational purposes only, and is not to be construed as professional advice on medical, legal, technical or therapeutic matters. By accessing and using the information, you agree to waive any rights to hold the Horizon Family Solutions, or any individual and/or group associated with this site, liable for any damage that may result from the use of the information presented. What are Therapeutic Wilderness Programs? Many social critics argue that today’s youth face more serious and critical risks than any previous generation. Parents are convinced that their children face a major crisis. Most experts will agree that violence in schools, deteriorating family structure, substance abuse, alarming media images, and gang activity put teens at risk. Wilderness programs use physical activity, exposure to the wilderness, and therapy to help participants through what might be considered “a rough patch” in their lives. Unlike juvenile detention centers, most wilderness programs, at least all the ones I recommend, do not use behavior modification strategies. Instead, they are non-confrontational and rely on exposure to nature to teach students about responsibility, reliability and resourcefulness. In most therapeutic wilderness programs, students join a group and stay in the field for a period of 42 to 74 days. At times it may be longer depending n the needs of the teen. Groups, which typically vary in size from four to 12 members, cook, engage in activities that match their surroundings and time of year (weather), help with local community needs (when applicable for the student), gather kindling, engage in academics, learn new skills, meet with their therapist, participate in groups, write in their journal and write letters home. Some programs focus on survival skills, such as making fires, cooking, first aid, minimal impact camping, hiking, route-finding and primitive living. Each participant has a responsibility to the group and themselves. Safety is ensured by expert trained field staff. 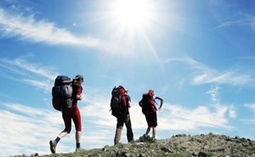 Participants in wilderness therapy programs usually fall in the “at-risk youth” category. At-risk teens are in danger of making poor life decisions because of environmental, social, family and behavioral issues. Students are usually between 13 and 17; after that age, parents are no longer legally able to make decisions for their child. There are therapeutic wilderness programs for pre-teens as well as young adults, so everyone can benefit from this experience when needed. The reasons a child is sent to a therapeutic wilderness program vary, but common issues include adoption struggles, clinical needs, drug and alcohol abuse, family challenges, gang involvement, low self-esteem, prescription drug abuse, running away, stealing, violence, depression, promiscuity, antisocial behavior and poor academic performance. By removing children from their comfortable environment and bad influences, a therapeutic wilderness program removes distractions that can hinder insight while in therapy. Students do not have access to cell phones, cars, computers, televisions, their usual friends, family, drugs, or alcohol. They focus on things such as: admitting to what was and has really been going on at hem and in school; behaviors that have caused troubles; academic failure; feelings of depression; eating healthy; making amends with their family; new coping skills; open communication; responsibility for themselves and how their actions affect others. Therapeutic wilderness programs use a “no-resistance” approach, meaning force and confrontation are not used and children must improve based on the natural consequences of their actions. Students quickly see and feel the impact of their actions. Therapeutic wilderness programs involve several forms of direct and indirect therapy. The experience of being in the wilderness — exposure to unfamiliar settings, learning new skills, and deprivation of normal everyday comfortable items — is itself a major component of therapy. Students work with licensed therapists to finish assignments and work through their problems; therapists do not usually stay with groups, but visit once or twice a week. Many wilderness programs also use less formal forms of group therapy to process lessons, improve communication and air grievances. Therapeutic wilderness programs are clinically driven treatment models. The Family Solutions Teen Help website has some of the best therapeutic wilderness programs listed. Many are located in the West, where the expanses of wilderness are used as field areas for groups. Many are located in Arizona, Colorado, Idaho, Oregon and Utah. Dore Frances, Ph.D .began her small independent therapeutic consulting practice as an Advocate for children with learning disabilities in Pacific Grove, California in 1988. In her work as a Child Advocate, she became familiar with the processes and strategies families develop to find appropriate educational matches for their children. 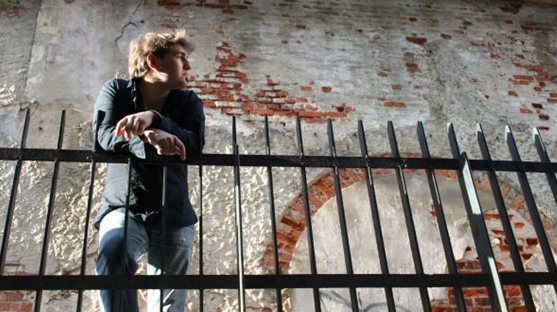 He written work has appeared in Monterey County Herald, Seventeen Magazine, and numerous other journals. A frequent traveler to all programs and schools she recommends, she also has penned articles about different types of programs. Dr. Frances has a Master’s Degree in Child & Family Studies and a Doctorate of Applied Human Development in Child and Family Development with an emphasis in Diverse Families and a minor in Child Advocacy. Horizon Family Solutions, LLC commitment to clients. Dore E. Frances, Ph.D. will be offering Parent Training and Information Seminars starting in March 2012. These seminars are mainly for parents, especially those that are “beginners” in the IEP process, however, anyone wanting to learn more information is welcome to attend or schedule a seminar in your area or at your program or school. Parents will learn valuable assertive communication techniques so that they are able to ask and answer questions in an unthreatening manner during an IEP meeting and while communicating with the IEP team, of which they are a part. This is a very understandable and down to earth seminar, with step-by-step instructions that each parent can take with them and use. Parents will be delighted with these seminars because they are spoken to from a parent perspective – which is very hard to find. If you would like to privately schedule a seminar for a group, this also works out very well. These seminars are a powerful way to learn how to be an effective advocate for your child. ~ Each public school child who receives special education and related services must have an Individualized Education Program (IEP). Each IEP must be designed for one student and must be a truly individualized document. The IEP creates an opportunity for teachers, parents, school administrators, related services personnel, and students (when appropriate) to work together to improve educational results for children with disabilities. The IEP is the cornerstone of a quality education for each child with a disability. Session One. Assertive vs. Non-Assertive – Which Are You? 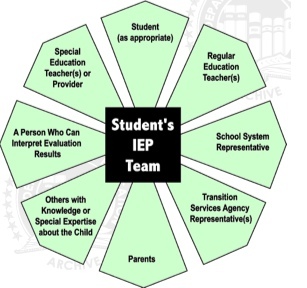 ~ To create an effective IEP, parents, teachers, other school staff–and often the student–must come together to look closely at the student’s unique needs. ~ These individuals pool knowledge, experience and commitment to design an educational program that will help the student be involved in, and progress in, the general curriculum. The IEP guides the delivery of special education supports and services for the student with a disability. Without a doubt, writing–and implementing–an effective IEP requires teamwork. Are you a Leader – or Just a Parent? ~ The IEP team gathers to talk about the child’s needs and write the student’s IEP. Parents and the student (when appropriate) are part of the team. If the child’s placement is decided by a different group, the parents must be part of that group as well. ~ If the parents do not agree with the IEP and placement, they may discuss their concerns with other members of the IEP team and try to work out an agreement. ~ If they still disagree, parents can ask for mediation, or the school may offer mediation. Parents may file a complaint with the state education agency and may request a due process hearing, at which time mediation must be available. ~ The school makes sure that the child’s IEP is being carried out as it was written. Parents are given a copy of the IEP. ~ Each of the child’s teachers and service providers has access to the IEP and knows his or her specific responsibilities for carrying out the IEP. This includes the accommodations, modifications, and supports that must be provided to the child, in keeping with the IEP. ~ The child’s IEP is reviewed by the IEP team at least once a year, or more often if the parents or school ask for a review. If necessary, the IEP is revised. Parents, as team members, must be invited to attend these meetings. ~ Parents can make suggestions for changes, can agree or disagree with the IEP goals, and agree or disagree with the placement. ~ By law, the IEP must include certain information about the child and the educational program designed to meet his or her unique needs. At Sunrise, we know that every girl is different. Because your daughter possesses a unique constellation of experiences, talents, relationships, and struggles, Sunrise offers a teen residential treatment program that is customized to meet her special needs. Sunrise works to uncover the academic, social, and emotional potential of girls who have been held back by emotional or behavioral struggles. Our staff knows that in school and treatment one size does not fit all, so we meet your daughter right where she is and design a program that changes with her as she grows confident, secure, and healthy during treatment. All aspects of our program are designed to form a healing milieu that combines the warmth of a home, the safety and clinical expertise of a residential treatment program, and the community access of a transition program. As a result, many students who would otherwise need two or three programs can move through their entire healing process – from treatment to their transition back home or off to college – all at Sunrise, quickly, effectively, and affordably. A premier residential program & school for young men ages 13 to 18 with learning differences. Daniels Academy is a small home-style residential program & school that provides both academic and emotional support to teenage boys, ages 13-18, with learning differences. Each component of the Daniels Academy program is designed to support the development of executive functioning and relationship skills. Daniels Academy believes in seeing each student individually. Every student receives an individualized education and treatment plan. Daniels Academy strongly emphasizes the integration of meaningful relationships coupled with clear and concise expectations, and dependable routines and structures. Daniels Academy values authenticity and strives to provide experiences and lessons that easily transfer to life at home, work, or school. To help the treatment experience generalize into life back home, students spend time in local communities nearly every day. Is there a way to avoid sacrificing passion for professionalism?